The UK has organized a two-day training of Angolan official with a view to combatting illegal wildlife trade. The intergovernmental partnership started on January 15th and was opened by the Angolan Minister of Environment, Paula Coelho, and Chargé d'Affaires, Primrose Lovett, a statement said on Tuesday. The lead implementer of this project was British NGO Stop Ivory in collaboration with the Ministry of Environment and the Attorney General’s Office of Angola. Directors, administrators and consultants from the Ministry of Environment and prosecutors from the Angolan Attorney General’s Office from the provinces of Uige, Zaire, Cwanza Norte, Bié, Malange, Moxico, Cuando Cubango, Cabinda and Cunene attended the training. 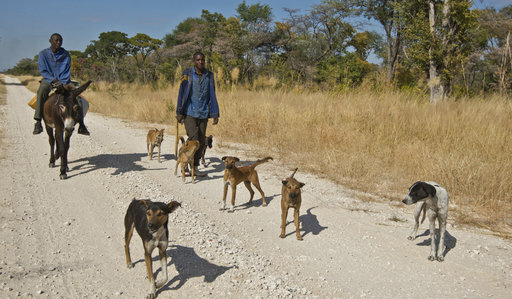 According to the statement, the training helped raise awareness of organised crime syndicates, how they de-stabilise governments and helped identify crimes against wildlife in Angola. The project aims to increase the number of entities that have the power to identify and prosecute crimes against wildlife through the development and strengthening of the justice, conservation and monitoring systems. The project is funded by DEFRA - Department for Environment, Food and Rural Affairs and implemented by Stop Ivory and EPI - Elephant Protection Initiative, whose primary objective is to develop capacity for investigation and prosecution of crimes against wildlife, aiming at the conservation of elephants and their habitat. The elephant population has been drastically reduced over recent years. It is estimated that 20,000 elephants are killed annually, driven by the violent global demand for ivory. The workshop is linked to the UK’s global commitment to combat illegal wildlife trade (IWT), following the International Conference against IWT held in London, in October 2018, in which various countries attended, including the Minister of Environment from Angola. At the opening ceremony, Primrose Lovett said: "If we allow this kind of practice to continue, we will be facilitating the extinction of African elephants. It is our responsibility to do everything in our power to help secure the future of this iconic species and support communities living with elephants." The British Parliament has approved a new legislation to close the domestic ivory market, The Ivory Act 2018. When it enters into force later this year, it will be the toughest ban on ivory in Europe and one of the toughest in the world, with some of the stricter implementation provisions.